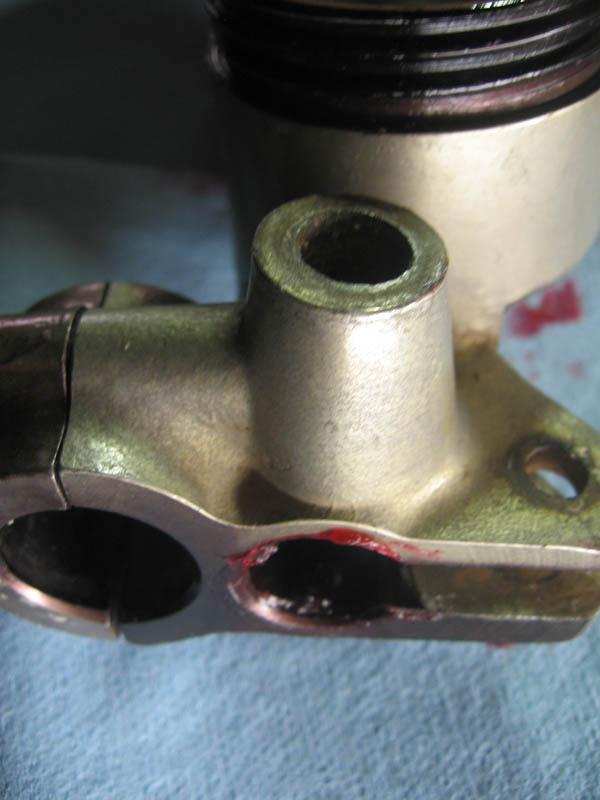 Some tips on how to repair motorcycle master cylinder leak or failure with rebuild kit. 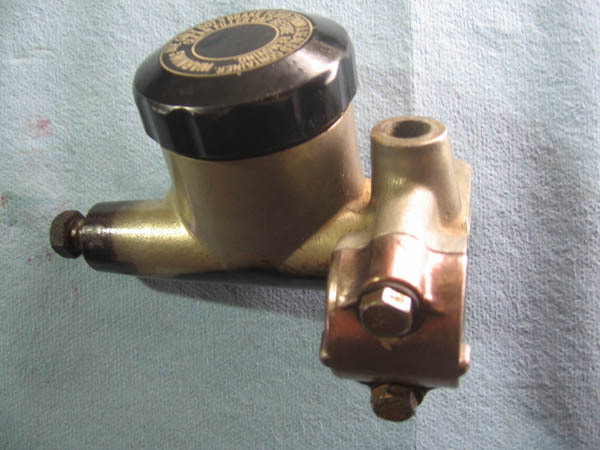 Tips on rebuilding and maintenance of hydraulic clutch master cylinder. First, you need to make sure that internal surface of the cylinder bore and the plunger are smooth. They usually are, we just need to make sure nothing was damaged during the process of cleaning. Once all replacement parts have been installed and assembled, lubricate all necessary parts. On the pictures below we are rebuilding Honda CB-550 brake master cylinder. 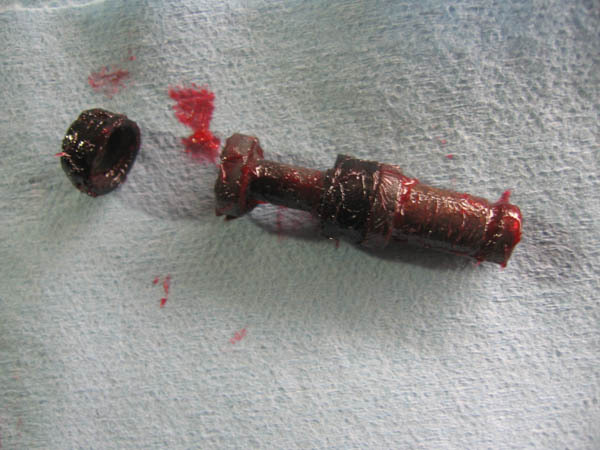 Smear the inner surface of the cylinder bore with red rubber grease. Do the same with the plunger seal and the plunger itself. 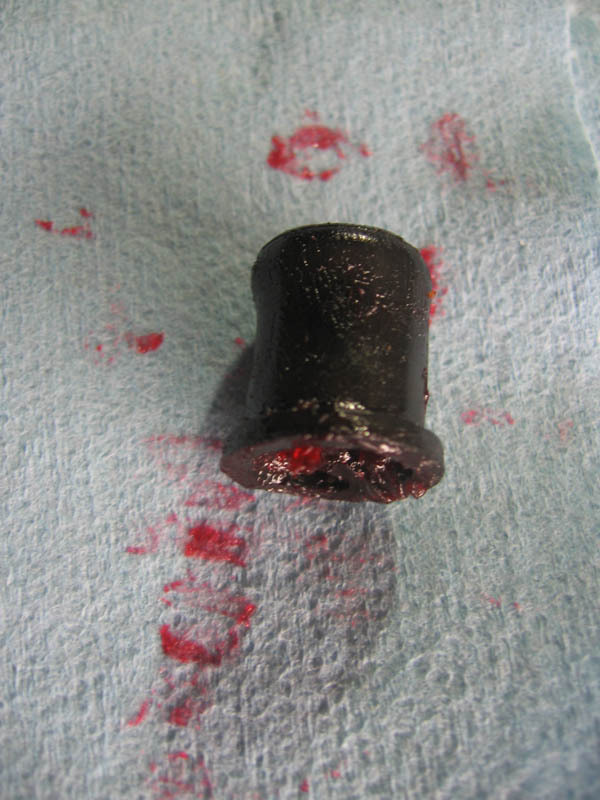 Using grease will help the plunger seal to go into the cylinder smoothly. Pack the dust boot with red rubber grease, as well. Wipe off the excess of the grease and you are done.